Julio Carcache-Computer Maintenance - BECA. The BECA.org Foundation. Empowering Youth Education in Nicaragua. "Hi it is a pleasure for me to be sharing with you a little bit about me. 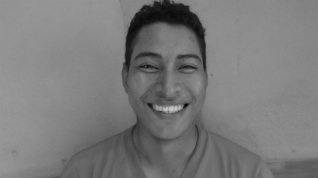 I am Julio Carcache, I studied Computer Maintenance, as well I am member of BECA.org now HEDU.org which I am really grateful for the opportunity that I received. I want to share with you my experience with the foundation and how I knew about it. My friend Jacquelin Acevedo informs me about the foundation and she was the one who motivate me to take the decision for this great opportunity. She explained me all about the process. After that she asked me if I wanted to have that support and my answer was ¨YES¨. After being talking with my friend I proceed to apply and fulfill all the requirements that were needed, thanks God I was selected for the scholarship. First of all I had to take a computer course, I remember that I start on 2012 at Academia de Ciencias Comerciales(ACC), Masaya, it was really good because I learned really useful things like Office Word , my teacher was Manrique Cardenas, he is an excellent teacher. After classes he motivates us to continue and take advantage of this opportunity. Secondly I did social work in my community Diriomo, at the Rafaela Herrera elementary school, it was a beautiful experience even though sometimes I felt tired, I supported a teacher for three months. In 2013 I was really happy because I had to choose a technical career, I had two choices Electronic Industries or Computer Maintenance. At the end I decided to take the second one. I decided to study at MASINFA (Masaya sin fronteras), the course was for two years, I do remember that my teacher was (José Vásquez Campbell). I provided my practices pre-professionals at Masaya´s SILAIS, I got hired for a short period of 5 months as an Epidemiology assistance. Actually I have been working for eight months as a Migration inspector at Peñas Blancas, Rivas, even though I am not working on what I studied, I am really proud of being working and help my parents since they also support me. I feel like is fair to retrieve a little bit of what they gave me. I just want to continue working to study English. Before finishing, I just want to Thank God because he always gave health and knowledge. Also I thank all people who support me on difficult moments, specially BECA.org and sponsors who gave me this wonderful opportunity. I hope you continue helping more people. Thank BECA.org, Thank HEDU.org.